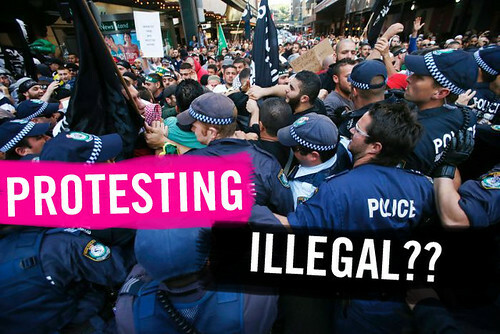 Last week, the Legislative Council of Victoria passed the Summary Offence Act 2013, which outlaws the right to protest in Victoria, by a vote of 20-18. Several activists involved in the Tunnel Picket protests were arrested during in Parliament as the voting was taking place. 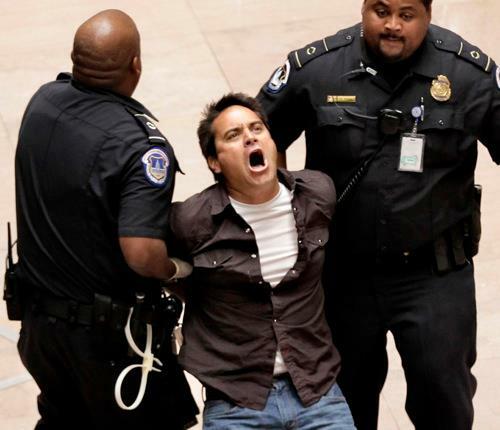 One of those activists, Sean Bedlam, is the subject of our interview today. From September onwards the police in Victoria will have the power to "move on' groups of people at their will, including those involved in peaceful protests and pickets. Those who refuse to comply with these orders can be issued with fines of $750, exclusion orders, and jail terms of up to 2 years. "Activists in Australia are reaching out to people all over the world, particularly in America, because Australia is a client state of the United States (while at the same time) we are reaching out to the Indigenous people of Australia, the first nations, and that has become a burning central issue. Now, the powers that be know that if we are making contact with the powers that be around the world and if we are making contact with indigenous Australians, you've got an incredibly powerful network, and they don't want the network to form."